Dark To Light With Frank & Beanz: For A Slow News Week, We Get Busy! 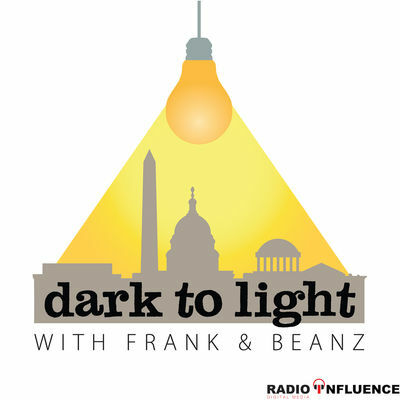 On this week’s episode of “Dark to Light,” Frank & Beanz get down to the nitty gritty of several topics. They talk about the recent “press” spats between CNN, Jim Acosta, and Press Secretary Sarah Sanders while also discussing the hypocrisy of the media in general. They float over to some strategy and chat about polling numbers being reported verses the real actual numbers when compared to Trump’s approval ratings. Speaking of ratings, they THANK YOU for making the July podcast numbers so fantastic – nearly beating CNN in certain demos. Then, it’s on to deep dives with discussions about the Chinese spy and Senator Diane Feinstein, Michael Cohen and Felix Sater working FOR the good guys, and the SSCI being one of the most corrupt committees in all the land. Also, top all of this off with Frank and Beanz delving into the Seth Rich lawsuit being dismissed, more on Paul Manafort, and you have one HECK of a show! Fridayz with Frank & Beanz!